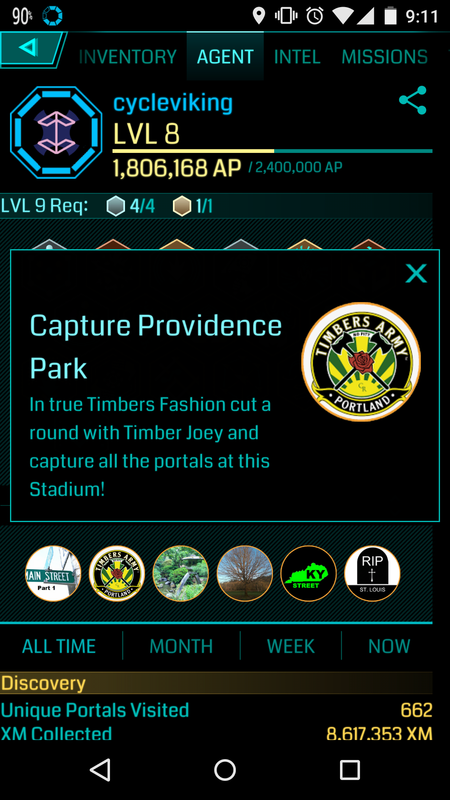 Providence Park is the home of the Portland Timbers, a Major League Soccer team. But we actually attended a game for the Portland Timbers 2 (lovingly called ‘T2’,) the first game they’ve played in Providence Park. T2 is the USL team under the Timbers, which puts them in the same league as our new hometown team, Louisville City FC. The T2 and LouCity won’t play each other unless they both make the championship game, but we figured we needed to scout them out just in case. We got great seats and the park is really beautiful. We could actually hear the players shouting on the field and not miss a thing. The T2 lost to the Orange County Blues, but it was still fun. 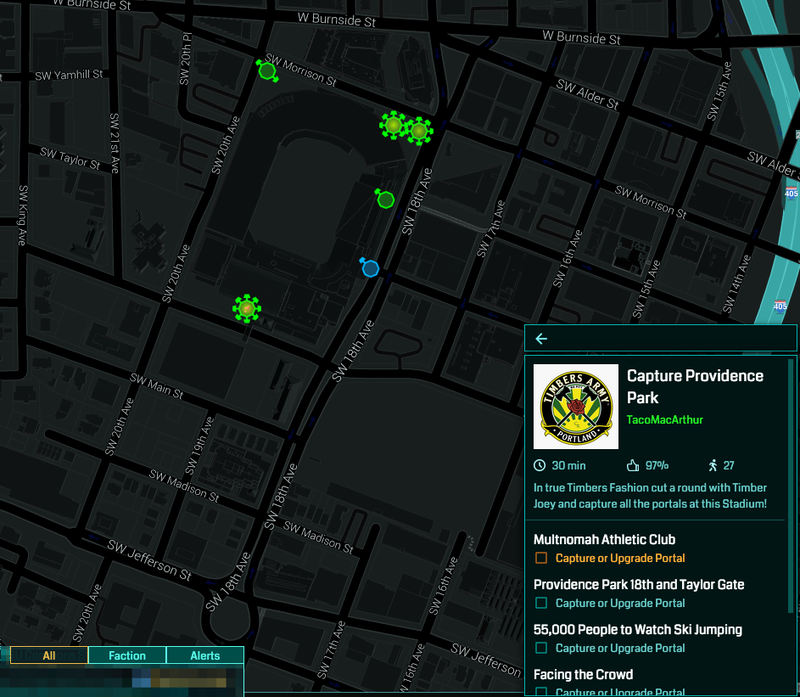 Before the game we also did this really fun Ingress mission. Most missions are travelling along a path, hacking the portals and visiting waypoints. This mission you had to actually capture or upgrade all the portals along the way. But when we visited, all but the southern portal were heavily linked and modded. Amber and I spent nearly all of our weapons capturing the portals in the name of this mission. We were so excited to get the southern portal, Multnomah Athletic Club, because it was blue. All we had to do was upgrade it! No fighting! And the mission would be ours! But the problem was, it was high enough level already there was nothing for Amber to upgrade. I wouldn’t let this stand. So I used a Jarvis virus to turn it green — and we went back to XMPs. We took it down again and we both completed the mission.